Does the difficulty in predicting which creatives will be accepted to run by Facebook and other social platforms make them still useful or too much bother? Why? While there are certainly very specific ad requirements enforced by Facebook, the platform itself is a critical component for brands. Facebook’s ad restrictions have been put in place to increase performance, which we can all appreciate. The opportunity Facebook offers far outweighs the obstacle of creative. Designing ads and submitting for approval requires time and expertise, so brands should look to partner with solutions that are dedicated to managing this unique channel and driving performance. We see resounding confirmation that when properly utilized, social platforms provide a rich brand engagement that results in increased awareness and ROI. For example, the technology behind our recent acquisition, Manifest Commerce, uses predictive marketing and optimization engines to encourage product discovery on Facebook by introducing new products to the most relevant audience segments and clients have seen industry-leading post-click conversion rates as a result. Imagine you are a newbie affiliate entering the industry today. Which vertical would you choose? What would be your strategy for success? The best success comes to those who are passionate about their vertical and the work doesn’t feel like a job! If you follow some of the top influencers in the space, you will see that they genuinely enjoy sharing their experiences, and they have an authentic voice that comes through to their audience. Top performers invest in a strategy of acquiring an audience who is enthusiastic about supporting their passion, and then the monetization through affiliate comes much more easily. Affiliates have been using content to drive conversions for years but now even the most traditional of newspaper publishers have adopted native advertising. Is this increase in competition good or bad for our industry? More distribution opportunities only make the space richer. Advertisers have additional choices to find their perfect audience, and publishers can be very targeted in their approach but still make a great deal of money due to their targeting abilities. During our opening remarks at Rakuten Marketing’s Symposium this past February, Adam Weiss and I spoke about affiliate being the “original” native advertising. Publishers have been matching the right offers and content to their audience within their site natively for many years. Adding more publishers to that mix will only provide more options and flexibility for Advertisers to get their message across. Hundreds of millions of dollars have been raised by AdTech startups over the last few years, and now there is much talk of AdTech being consolidated into the larger concept of MarTech. If MarTech is the future of marketing, will affiliate networks be included, or will they stand apart? Affiliate is already one of many services within the large companies in our space, for instance Rakuten (RAN), Alliance Data Systems (CJ), and Axel Springer (Zanox). At these companies, affiliate marketing has benefitted and expanded by intelligence and technology from other AdTech or marketing channels within their corporate organization. So, affiliate will definitely be included and perhaps lead in the MarTech movement, as it is already included as one strategy among many for large companies who look holistically at campaigns and choose one partner for all of their online marketing efforts. The best affiliate campaigns are strategic with many marketing channels. Many people in the supplements industry seem to be rooting for a less regulatory-minded Republican Administration next year. Does it make a difference to the affiliate marketing industry who the next President is? It makes a difference to every American who the next president is – get out and exercise your right to vote– no matter the party! 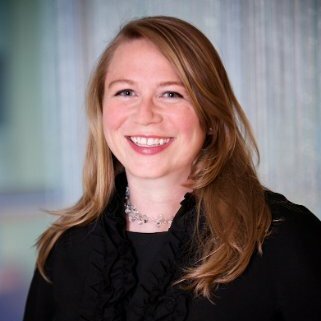 Melissa Feemster is the General Manager and SVP for Rakuten Affiliate Network (formerly LinkShare), and serves as the voice of its clients and shapes feedback into new projects and products for the business. She focuses on client retention, account optimization and new business opportunities.